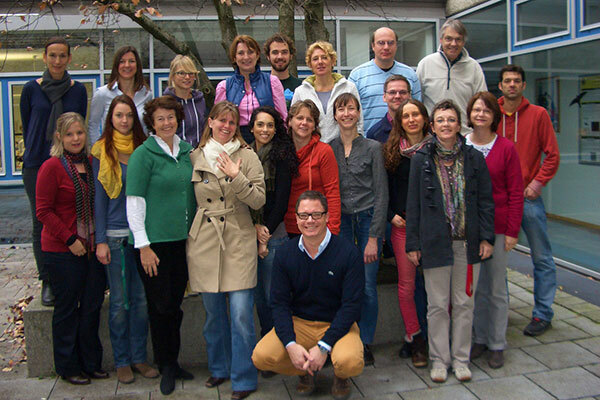 Welcome to the Asthma and Allergy Research Group at Munich University Children's Hospital! We are an interdisciplinary research group interested in discovering the causes of childhood asthma and allergies. Our group comprises researchers from epidemiology, statistics, immunology, genetics and clinical medicine. Over the last 20 years we have been involved in a number of large multicentre interdisciplinary research projects, mainly focussing on the role of genetic and environmental determinants for childhood asthma and allergies. Asthma is one of the major epidemic illnesses in children with an estimated total burden in the 25 EU member states of €3.0 billion each year. Munich University Children's Hospital is under the umbrella of Ludwig-Maximilians-Universitaet Muenchen (LMU Munich), one of only 9 Centers of Excellence in Germany, participating in 26 Collaborative Research Centers funded by the German Research Foundation (DFG) and host university of 14 of them. It also hosts 9 DFG Research Training Groups and four international doctorate programs as part of the Elite Network of Bavaria. It attracts an additional 120 million euros per year in outside funding and is intensively involved in national and international funding initiatives. All this demonstrates why LMU Munich regularly gets top marks in national and international rankings.